Every year a home needs thorough cleaning and its space requires adjustment to the new season. Similarly, your own website should be cleared of all clutters and trash content to pave the way for the current innovation. It means that what is advanced right now—when it comes to websites—is becoming mobile-friendly. Today, less importance is given to those sites which are not responsive. So to avoid your site from getting relegated, here are a few tips to consider. You’ll come up with a totally improved website once you take these tips making it mobile-friendly. 1. Learn the importance of being mobile-friendly. Today, everything to benefit from is obtained through a single word “Google”. Increasing online searchers trust this major search engine when digging out for quality information. With that, higher ranking is given to those websites that are compatibly mobile-friendly. While ranking is the life of every site, most companies have recently adjusted to Google’s algorithm to get the ranking they want. 2. Have a content that fits all mobile devices. A feature that is not friendly to mobile devices makes use of excessive sideways scrolling. If your content or text is too small it causes a lot more scrolling and this is not helpful in any way to visitors. 3. Use a responsive website. Instead of just having a dedicated mobile site, you’re better off considering one which is responsive. As a result, your visitors will enjoy the full experience of exploring a seamless mobile website. With the benefits of being responsive, your own domain will get higher traffic consistently. In the end, you’ll get more online visibility and business success. 4. Examine well your website’s text style. Is there a need to zoom your text to make it readable to your visitor? Take enough time looking into it on your own site. Then make some necessary changes as needed. 5. Don’t use any non-running software. All software should compatibly run within the user’s mobile devices. Flash, for instance, will not run and therefore should not be used. 6. Don’t put your links too close to each other. Ensure that all links you have are far enough to be seen and pressed on. It’s less difficult tapping on those links because you make them more convenient to users. 7. Use media queries. To be able to customize your desktop and mobile devices, you can use some media queries. Start by having some customized style rules which can be useful once people view them on their mobile screen. 8. Use fonts that are standard. Problems tend to happen when you try to use custom fonts, although your website looks nice and unique with those fonts. However, loading on mobile device takes more time. As a result, visitors will not see the text on their device but instead get a blank screen. And to avoid this, use the standard font such as the “default” font. 9. Set up helpful features for your form input. It’s easier for users if your “auto-capitalize” is turned on and your “auto-correct” turned off. It’s more convenient if they don’t have to toggle the “caps lock” several times to avoid auto-correct errors. 10. Ensure your “submit” form buttons work well. It simply means that your buttons aren’t inactivated when a visitor taps on them. At times, fluctuations are experienced in network when people use their mobile devices. Therefore, it requires another option of trying to tap the same button a few times to make it work. Don’t be satisfied with what your desktop can do for you and to others. Yes, it’s coming and invading people, especially the entire business world. Whatever Google applies for ranking rules, millions can’t help but adjust. Go with today’s trend and go further from the tradition desktop practice. Great rewards are sure to follow once you started converting your site to be mobile-friendly. 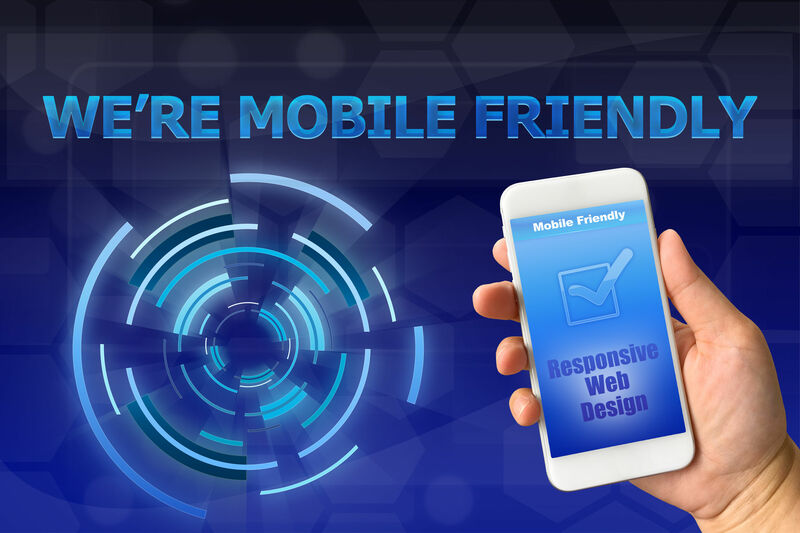 If you want to have a mobile-friendly website, take the necessary action now. You can look at your site by trying to examine it with our recommended tips above! You can also contact us for a website review and to see how we can improve your online presence.